When Glitzkoin CEO and diamond veteran Navneet Goenka, made this important announcement, not everyone understood its true significance. 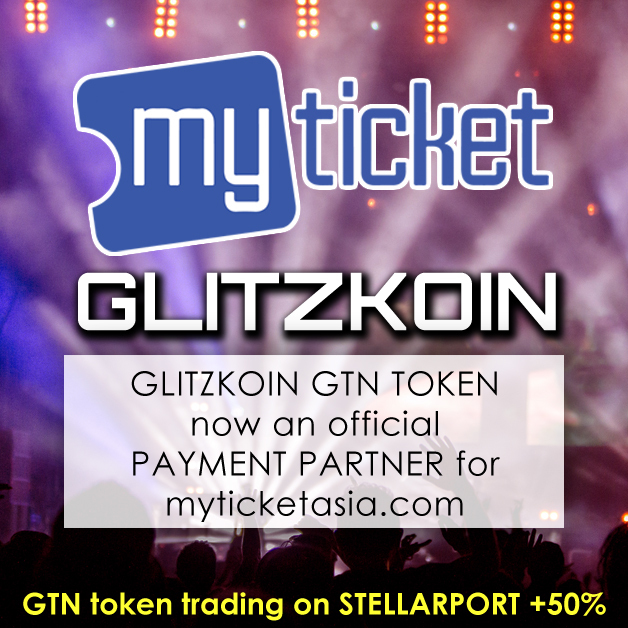 He announced, ‘… a strategic partnership with Asian online ticketing giant Myticket.asia, will open up a new stream of demand for the Glitzkoin GTN token’. Details that emerged indicated that, Glitzkoin had been officially designated as a payment partner for the ticketing portal. This implied that, users booking tickets online on the Myticket.asia portal, could use the GTN token as a mode of payment. The direct connect that the Glitzkoin diamond blockchain project, makes to the $90 billion diamond industry is a well known fact. Some analyst failed to see the relevance of Glitzkoin, partnering with a business from the entertainment industry. A better understanding of the project would explain, the move made by CEO Navneet Goenka. The Glitzoin project had an ICO that ran from March to June 2018, the GTN token was priced at $0.15 to $0.20 during the ICO. The comprehensive project plan impressed seasoned crypto traders, this ensured that the ICO was a great success. Unlike most blockchain projects that, focus on nothing but the crypto and ICO – the Glitzkoin GTN token has an important role to play. The project consists of a comprehensive diamond trading platform nicknamed, DiaEx. Diamond traders from across the world and irrespective of their size, can operate directly on the platform. Without getting into details suffice it to say that, the DiaEx platform has been designed to eliminate, major inefficiencies that exist in the diamond supply chain. Responding to the longstanding wish of diamond traders, for a payment mode that was not under the stranglehold of the, cumbersome and expensive banking system, DiaEx was designed to accept the GTN token as the mode of payment. The diamond community understands that the use of a crypto, speeds up the payment process while drastically cutting the cost of transfer. Multiple currencies and their conversion, become irrelevant when the GTN is used to fulfill payment obligations. The launch of the DiaEx (first quarter of 2019), would generate another stream of demand for the GTN token. Crypto world participants have already been actively trading, the token on the Stellarport exchange – the GTN listing was made in July 2018. Diamond traders would further add to the demand for the token, this to settle payments for transactions conducted on the DiaEx platform. This explains why crypto traders have continued to support, the Glitzkoin GTN token well after the ICO. The enthusiastic involvement of the crypto world is better demonstrated in numbers. The token traded around its ICO price ($0.20) from July to October 2018. A large number of cryptos launched during the same time, lost up to 70% of their ICO value after trading for a few weeks. When crypto markets experienced their worst slump in 12 months, interest in the GTN token showed an increase. The token sailed through November and December 2018, with an impressive 50% appreciation in value. The $0.30 price was a significant increase when, compared to the $0.20 ICO price. The trend continued into 2019 – undoubtedly with the robust support of the crypto community. So where does all this fit in with the Myticket.asia and Glitzkoin partnership. It is important to realize that, the project has two major groups of stakeholders. While the diamond community is obviously one of them, Glitzkoin promoters recognize the crypto community as being equally important. From the viewpoint of crypto world participants, any move that would increase the demand for the GTN token, would improve the price potential of the token. With the integration of systems in progress, expect the Myticket.asia and Glitzkoin arrangement to be launched in the first quarter of 2019. Efforts are ongoing to increase the usage of the Glitzkoin GTN token, this to deliver stability and consistency. Future industry specific blockchain projects, would ideally follow a similar business model. The idea is to bridge the gap between crypto space and the real world economy.